Sunday was a big night for the cast and crew of A Star Is Born. While Lady Gaga was representing the film at the Grammys, where she performed “Shallow” and took home two trophies for the song, her costar and director Bradley Cooper was representing the film on the other side of the ocean at the annual BAFTAs. 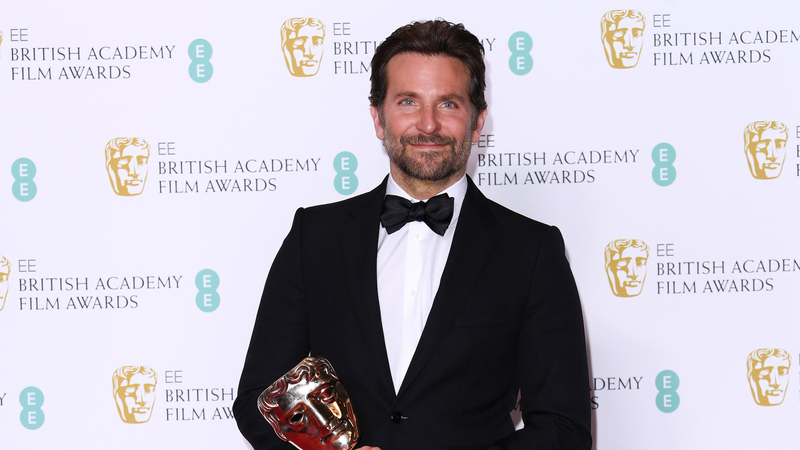 During his own acceptance speech for the music of A Star Is Born, Cooper made sure to thank his girlfriend, Irina Shayk, for being so patient with him during the recording process for the film. We really appreciate Cooper’s sense of humor about singing for this film, but Shayk seemed more proud than anything. When A Star Is Born was announced as the winner for best original music, Shayk gave Cooper a standing ovation from the crowd.